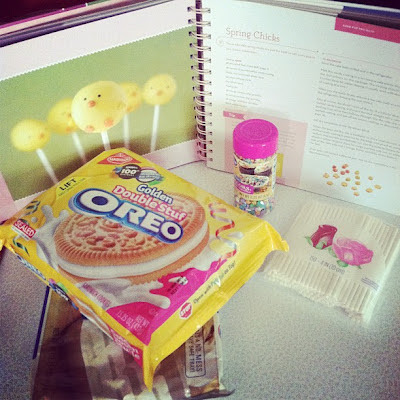 Wifestyles Blog & Photography: Easter Plans + Goodies! Are you guys getting excited for Easter tomorrow?! It's one of my ALL time favorite holidays! So needless to say I. CAN'T. WAIT. I just love the family togetherness, pretty dresses, Easter traditions, yummy honey baked ham, and most importantly remembering the Resurrection of Jesus Christ. This Easter I'll be contributing to the pile of sweetness that already takes place every year! My supplies I got today and my Cake Pop book for inspiration! I hope mine turn out this cute! I'm off to make them now! These are adorable. They look pretty simple to make. I love them! I am sooo going to make these for our next fun themed party! I'll probably end up eating most of them though as per usual!